The intrinsic relationship between human beings and the natural and cosmic environment. The essential values indicated above are also values that we in Canada particularly subscribe to as Canadian values. Our commitment to being a multi-religious, multi-cultural, and multi-racial country does not necessarily mean that we will subscribe to institutional fundamental beliefs of any religious, racial, or cultural group, but we will always accommodate those aspects of their faith that do not contradict essential universal values that happen to be Canadian values as well. 1. The oneness of reality. That is, the existence of an “Absolute, Infinite, Spiritual, Supernatural Realm, Entity and or Being” beyond, but including all “Relative Natural Realms” of time and space, and beyond that which is capable of being totally perceived by or through our senses – but which human beings may have been able to somewhat perceive or envision, through revelations, meditation, and prayer. 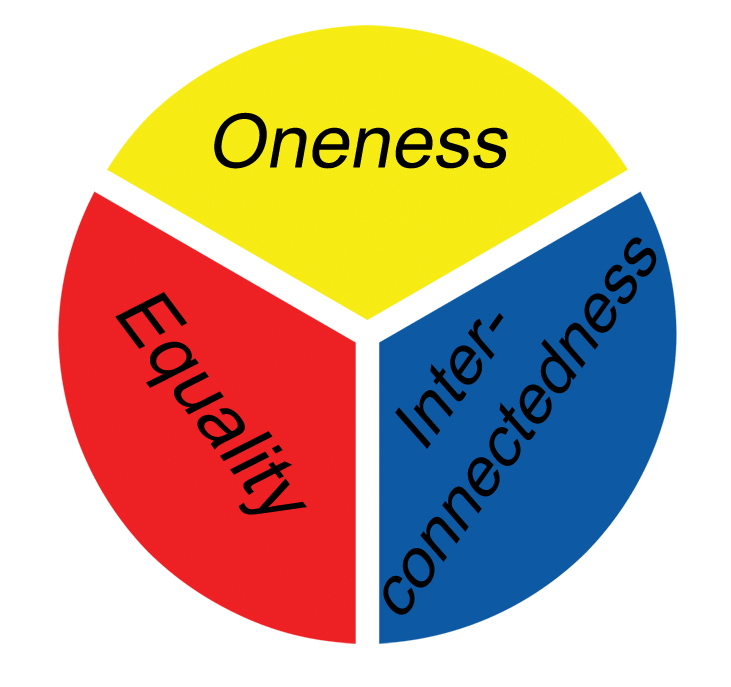 It also involves comparative study and appreciation of how human beings have, through various religious and other cultural endeavours and experiences, envisioned, perceived and understood: “the oneness of reality” (as Brahma, or Yahweh, or Buddha the Enlightened One or God, or Allah, or the Great Spirit, or as an Absolute Infinite entity) and the place and role of human beings in relation to and within “the oneness of reality”. 3. The intrinsic relationship between human beings individually and collectively, and the natural and the cosmic environment around them. This intrinsic relationship is an aspect of “the oneness of reality”, and thus everything that exists in the relative realms of the universe is interrelated. And all that happens is partly the consequence of past actions and events, and whatever is done or happens at any moment has consequences stretching away into the future. This also means that whatever subject areas we have categorized our knowledge and perceptions into are interrelated, and are not separate and independent of one another, unless we have consciously assumed and defined them to be so.